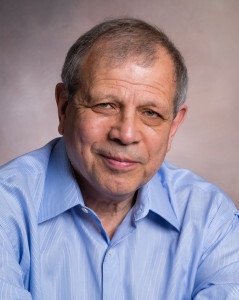 Yefim Somin started his acting career at the age of 10 entertaining nurses, while recovering from surgery at a children’s hospital. He imitated routines of the top comedian and broadcasts of the top radio announcer in what was then the Soviet Union. 50 years later, he returned to acting and has played roles in a variety of indie, student and 48-hour films, including an award-winning feature film presented at the Albuquerque Film & Music Experience Festival 2016. He acted in several episodes of the New England Emmy and Telly awards-winning TV series “The Folklorist” by NewTV. Yefim trained with acting coaches in the Boston area and audited prominent visiting instructors from Moscow and Montreal. His most recent theater role was Reverend Arthur Boyes in a stage adaptation of Strong Poison by Dorothy Sayers with The Slackville Players. A timely escape from the Old Evil Empire allowed him to see the rest of the world and thus indulge his interests, which include travel writing, translating poetry, and the study of languages. Besides English, he has performed in Russian, Mandarin Chinese, and French.